@Da’an | Get Your Grub On! 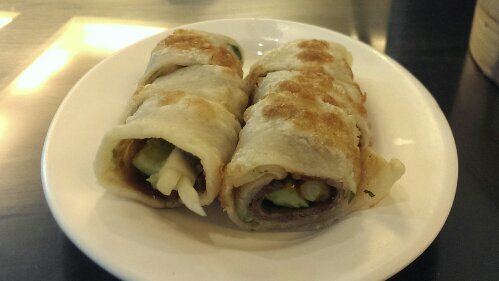 I wasn’t too excited when my colleagues planned on taking me out to ‘Din Tai Fung’ as I did have it quite often before and rather wanted to try things I couldn’t get in Singapore instead. But the table was booked and of course I didn’t want to complain being treated for dinner and so lovely colleagues brought me to SOGO to enjoy some dumplings and noodles. I was stunned and surprised as the food here was just so much better than in the outlets in Singapore. 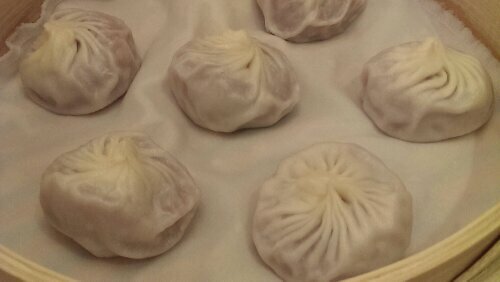 The ‘Spicy Wonton‘ were amazing, the ‘Xiao Long Bao‘ simply perfect in taste and appearance and the ‘Shiao Mai‘ were much more like xiao long bao themselves, soupy goodness topped with a shrimp and actually the first version that I truly enjoyed. As dessert we ordered the steamed ‘Tapioca Dumplings‘ which I wasn’t really looking forward to but another surprise, they were pretty darn delicious, heavy and stuffing but delicious and not too sweet either. Thanks for a great evening and maybe I’ll suggest a refresher training for the Singapore branches once I’m back. Slack Season Noodles and pork in a pot. I was lucky enough that another work trip brought me back to Taipei and I planned to go back to all the places we had found during our holidays last year and try others I didn’t have the time for then. My first stop was at Da’an and brought me back to a shop we only tried out because there was a massive metal kettle including cook sitting in the window. This time around I was by myself which didn’t hold me back from over ordering heavily. 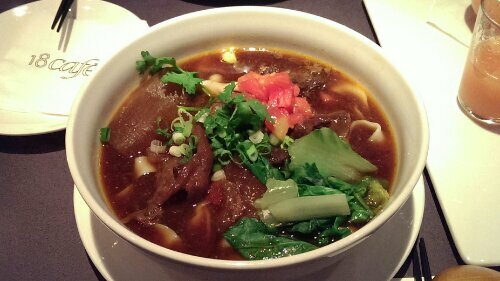 I started up with two of their three different types of ‘Dan Tzai‘-, ‘Tan Tsi‘- or ‘Slack Season Noodles‘, a local speciality from Tainan. I had the signature and my favourite, the thick rice noodle version, both with soup as I never seem to get the order for the the dry type right. The bowl was a mix of several light flavours, the thin broth with the lovely braised pork mince, some cilantro, the fresh little prawn with a good bite and the great rice noodles that reminded me a lot of thicker ‘Chee Cheong Fun‘. Brilliant stuff. I also had the ‘Braised Pork Rice‘ which wouldn’t win a beauty contest but was terribly satisfying. Quite sinful, the pork has been braised for a long time in the huge metal pot, was lardy and rich, bedded on top of a bed from roundish, bigger grained rice. As a light side I chose the ‘Stir Fry Bean Sprouts‘ which were as great as veggies can get, boiled but still with some texture, fresh and light, garlicky and juicy with some chilli to gently kick your taste bud’s butts. 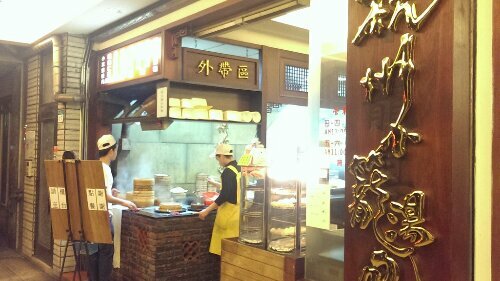 I love this place, simple food made great with friendly people to serve it, a picture menu with a tick box order sheet for the non-Mandarin speakers and that all in the middle of one of the nicest areas of Taipei. See you next time.